Paul Yonamine served in a leadership capacity at several global organizations in California, Hawaii and Japan before returning to Hawaii. Prior to joining Central Pacific Financial Corp, Yonamine was Executive Chairman of GCA Corporation, Japan, the largest independent M&A advisory investment bank listed on the Tokyo Stock Exchange specializing in technology based, cross border M&A advisory services with 18 offices across 10 countries. Yonamine served as President and Country General Manager of IBM Japan, Ltd. until March 2017. IBM Japan was one of the best performing divisions of IBM with approximately $9 billion in annual revenues and was recognized by Nikkei, Japan’s leading business journal, as a leader in workforce diversity. Previously, Yonamine served as President and CEO of Hitachi Consulting Co., Ltd. from 2006 to 2010, where he founded the first consulting and solutions business for Hitachi Ltd. From 2004 to 2006, he was a senior advisor to the Mayor of the City & County of Honolulu where he led a private-public partnership initiative to reengineer City government operations. Yonamine also served as Executive Vice President and Chairman of BearingPoint Asia Pacific, President of KPMG Consulting in Japan, Managing Partner of KPMG, LLC – Hawaii Operations, and Partner in Charge of Japanese Practice of KPMG in Southern California. A graduate of the University of San Francisco with a degree in Accounting, Yonamine also holds a CPA designation. Catherine Ngo is an experienced financial services executive. Ngo joined Central Pacific Bank in 2010 and previously served as President and Chief Operating Officer. Prior to joining Central Pacific Bank, Ngo was a founding general partner of Startup Capital Ventures, an early-stage venture capital firm established in 2005, with investments in Silicon Valley and Hawaii, as well as in China. In addition to managing a portfolio of several technology companies, she assisted other firm portfolio companies with operational issues, generally in the legal and finance areas. Ngo also had primary oversight for the venture capital firm’s investor relations activities and had a significant role in managing the firm’s China-based portfolio. Ngo is a graduate of the University of Virginia, School of Law. She started her career in private law practice, focused on banking and securities law. 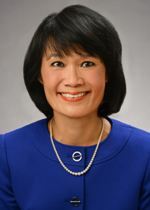 In 1993, she joined Silicon Valley Bank as Executive Vice President and General Counsel and over her 12 years at the company, assumed responsibility for additional risk and operations groups, including serving as Chief Operating Officer of Alliant Partners, an investment banking subsidiary of Silicon Valley Bank. Blenn A. Fujimoto is the Executive Vice President and Consumer Lending & Wealth Management Manager of Central Pacific Bank. He oversees Home Loans Division, Consumer Lending, International Banking and the Wealth Management Group comprised of Private Banking, Personal Trust & Investment Management, and Investment Services. Fujimoto joined Central Pacific Bank in 2000 and has more than 30 years of banking and business experience. He has a diverse background in mortgage operations, retail and commercial banking and wealth management. Fujimoto is a graduate of Saint Louis High School and received his Bachelor of Business Administration in Finance from University of Hawaii at Manoa. He is also a graduate of Pacific Coast Banking School at University of Washington. He currently serves on the boards for Aloha United Way and Goodwill Industries of Hawaii. He also served as President of Kalihi Business Association, Chairman of Kalihi Kai Elementary School Community Based Management, Saint Louis Board of Trustees, Manoa Valley Theatre, Enterprise Honolulu, Boys & Girls Club of Hawaii, Hawaii HomeOwnership Center, Hawaii Strategic Development Corporation, Pacific Coast Banking School and Pacific Asian Affairs Council. David Hudson was appointed Executive Vice President, Community Banking of the Bank and the Company, effective March 11, 2011. Prior to his appointment, he was Senior Vice President, Community Banking Division Manager for the Bank. As Executive Vice President, Community Banking, Hudson oversees the Bank’s entire branch network throughout the State of Hawaii, to include branches on the islands of Oahu, Hawaii, Maui, and Kauai. He has more than 34 years of experience in the finance industry in Hawaii and California. He started his banking career in corporate, international and commercial real estate lending with Crocker National and First Nationwide banks. More recently, Hudson’s career has focused on retail and branch banking. 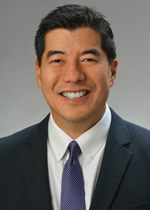 Prior to joining the Bank in 2009, he spent six years as Senior Vice President of the consumer and business banking division of Hawaii-based American Savings Bank. In addition, he has also served at Honfed Bank and Bank of America in Hawaii and California in various positions from process design executive to consumer region executive. Hudson received his bachelor's degree in economics and history from the University of California at Berkeley. Hudson currently serves as a board member of the Boys and Girls Club of Hawaii and Kapiolani Health Foundation. Arnold Martines is the Executive Vice President of Commercial Markets. In this role, Martines oversees the Business Banking, Commercial Banking, Corporate Banking, Commercial Real Estate Lending and Institutional Trust and Deposit Services Divisions of the Bank. Martines joined Central Pacific Bank in 2004 and has more than 23 years of banking experience. Martines grew up on the Big Island of Hawaii and attended Honokaa High School. Martines also attended the University of Hawaii at Manoa and Pacific Coast Banking School hosted by the University of Washington. Active in various community causes and charities, Martines currently serves on the boards of Aloha Council - Boy Scouts of America, Western Region – Boy Scouts of America, Child and Family Service and the Chamber of Commerce of Hawaii. David Morimoto has more than 24 years of banking experience. He started his career at Central Pacific Bank in 1991. He previously served as the bank’s Treasurer for over 10 years and has broad experience in asset/liability and investment portfolio management. Morimoto also has extensive experience in effectively working with institutional investors, investment bankers and financial institution regulators. Morimoto received his Master of Business Administration degree from Chaminade University of Honolulu, and his Bachelor of Business Administration degree from the University of Hawaii. Active in various community organizations, Morimoto currently serves on the board of the Institute for Human Services and the Hawaii Council on Economic Education. President and Chief Executive Officer, Avalon Group LLC (2002-present)(real estate consulting); Managing Director, Avalon Development Company, LLC (1999-present)(real estate development). John Dean has spent more than 30 years as an executive in the financial services industry, serving as CEO of five financial institutions throughout the country. Under Dean’s leadership, the troubled banks were turned around and returned to profitability. Dean joined Central Pacific Bank in 2010, leading the recapitalization effort that paved the way for the bank's recent successes. He has helped reinforce the company’s core values that took root in Hawaii’s soils 60 years ago by the bank’s founders. He is a graduate of Holy Cross College, a former Peace Corps Volunteer in Western Samoa and a graduate of the Wharton School with an MBA in Finance. In 2001, Dean was recognized by Forbes as one of the “50 most powerful dealmakers.” More recently, he was recognized as Hawaii Business Magazine’s 2012 CEO of the Year, Sales and Marketing Executives International Honolulu’s 2012 Salesperson of the Year; 2012 Pacific Business News’ Business Leader of the Year; and 2012 Pacific Buddhist Academy Inspirational Leader. Dean’s community involvement includes being founder and sponsor of Kipapa i ke Ala Lecture Series at the University of Hawaii’s Shidler College of Business, a Director of the Pacific Asian Center for Entrepreneurship and E-Business (PACE) at the business school of the University of Hawaii and Chairman Emeritus of Entrepreneurs Foundation of Hawaii. He also serves on the boards of Aloha United Way, 'Iolani School, Blue Planet Foundation, and is on the Advisory Board of Catholic Charities Hawaii. Chief Customer Officer and EVP, Operations Strategy, Informatica Corporation (2010-2015); Executive Vice President, Chief Financial Officer and Secretary, Informatica Corporation (2003 - 2009)(technology); Senior Vice President, Chief Financial Officer and Secretary, Informatica Corporation (2002 - 2003); Senior Vice President and Chief Financial Officer, Informatica Corporation (1999 - 2002). Wayne Kamitaki is CEO of Maui Varieties, Ltd., a holding company, which through various subsidiaries, owns and operates Ace Hardware and Ben Franklin Crafts stores. President & Chief Executive Officer, MNS, Ltd., dba ABC Stores (1999-present)(retail). Duane K. Kurisu is a real estate investor and owns and manages office buildings, shopping centers and industrial parks in Hawaii. He is also the Chairman, CEO and owner of aio, a holding company for brands focused on Hawaii and the Pacific in the areas of media, sports and food. Christopher Lutes is the Chief Financial Officer of Elevate Credit, Inc., which specializes in tech-enabled online credit solutions. He has been the Chief Financial Officer at Elevate and its predecessor company since 2007. Prior to joining Elevate, Lutes was the Chief Financial Officer for Silicon Valley Bank from 1998-2001. Lutes is a graduate of Arizona State University with a degree in accounting and holds a CPA designation in the State of Arizona. Chairman and President of Island Holdings, Inc (1999-present)(insurance). Partner of Bays, Lung, Rose & Holma (1989-present)(law).